This panel has four general-purpose buttons. 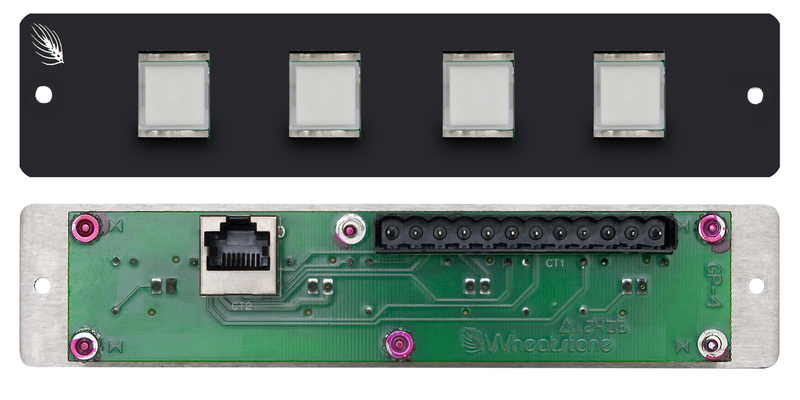 Includes LED illumination for tally back. Panel wires to system's logic/ GPI ports. Connects via Phoenix or RJ45 connector. Requires one logic port per button and one port for each tally back.